Sometime early in the new millennium, I reversed my thinking about social justice and the church. I used to think that the primary work of each congregation, as well as my denomination (United Methodist), was to win people to Christ and form them into fruitful disciples. My priorities as a clergy-person were; witness first, organize second, and address human need a distant third. I am replacing this guideline, though. I believe now that one cannot be evangelical without being concerned about liberation. Jesus healed and taught with equal enthusiasm. In the Letter of Philemon, the apostle Paul revealed that theology must always serve compassion. In today’s world, the church has no traction in neighborhoods, or with people groups, that it is not working first to liberate. We can no longer afford to prioritize the preservation of our institution over human need. In Tubman’s time, there were church leaders who said, “Let’s send our missionaries to work among the colored, so that they can know Jesus, and we can have a reputation as a church that does good things.” In our time, there are those who advocate expanding Hispanic ministries, without embracing the need for immigration reform. There are those who want to witness to the LGBT community, without working to provide them full acceptance in society and the church. 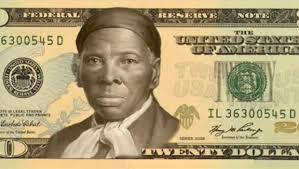 Tubman would say to us that the can be no evangelization without liberation. Harriet Tubman, a devout Christian, was given the name, Moses, for her work with the underground railroad. The biblical Moses was typical of the people that God uses. He did not preach, teach, or act as a lawgiver, before beginning his main task, that of liberating the slaves held in Egypt. Moses did not come back from Midian with the Four Spiritual Laws, nor did he set up a soap box in front of the pyramids and try to win people to Jesus. He came back with ten plagues to inflict upon his people’s oppressors. Recognizing the economics behind the systemic injustice of his day, Moses told God’s people to borrow jewelry from their neighbors before they fled out into the wilderness. It is hard to celebrate Passover without thinking about the social justice issues that continue to be woven into the practice of our religion. Finally, what you may not know about Harriet Tubman, was that she was a bit of a mystic, often telling about vivid dreams and strange visions that the Lord had given her. While not every reformer has ecstatic experiences, enough do that the church needs to be cautious about dismissing contemporary prophets as nuts. It is too easy to marginalize visionary leaders. The old priorities of witness first, organization second, and social causes if we have time, is propagated by people of limited imagination.